The delightful Inea Hotel and Suite is located on the pretty island of Crete, close to the beach and enjoying beautiful views over the sparkling blue sea and the mountains nearby. 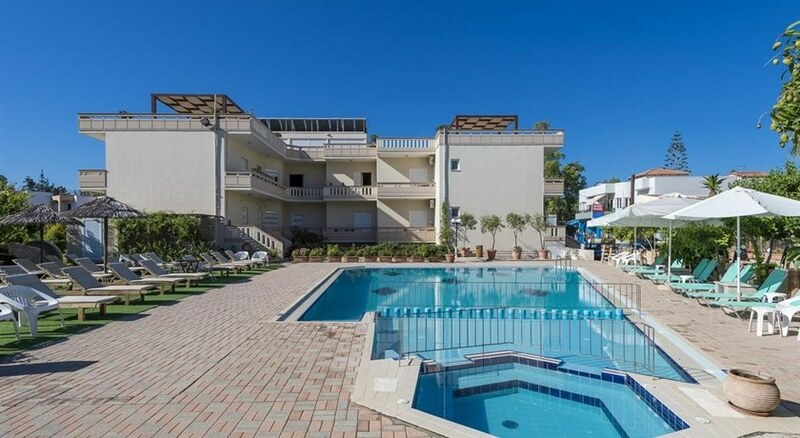 It enjoy a quiet and tranquil location that¿s ideal for relaxing holidays, but is still within easy reach of the town for great shopping, nightlife and sightseeing tours.Guest studios are welcoming and fresh, with an open plan design that provides plenty of space. They feature twin beds, a kitchenette with modern appliances, and private bathrooms with showers. They also boast private patios and easy access apartments are ideal for physically impaired travellers or families with young children. Amenities are modern and include air conditioning, television, Wi-Fi internet access availability, laundry facilities and furniture outside for enjoying the sun. The studio apartments at the Inea Hotel and Suites are welcoming and comfortable, featuring twin beds, open plan design, kitchenette and dining facilities and separate bathroom. 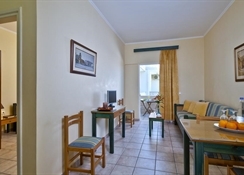 They boast televisions, radio player, furnished terraces or balconies, Wi-Fi internet and laundry facilities.